Nike KD12 looks a lot different than Durant's recent line of signature sneakers. It's anybody's guess where Kevin Durant will be playing in the 2019-20 NBA season, but we already know what will be on his feet when the new season tips off. 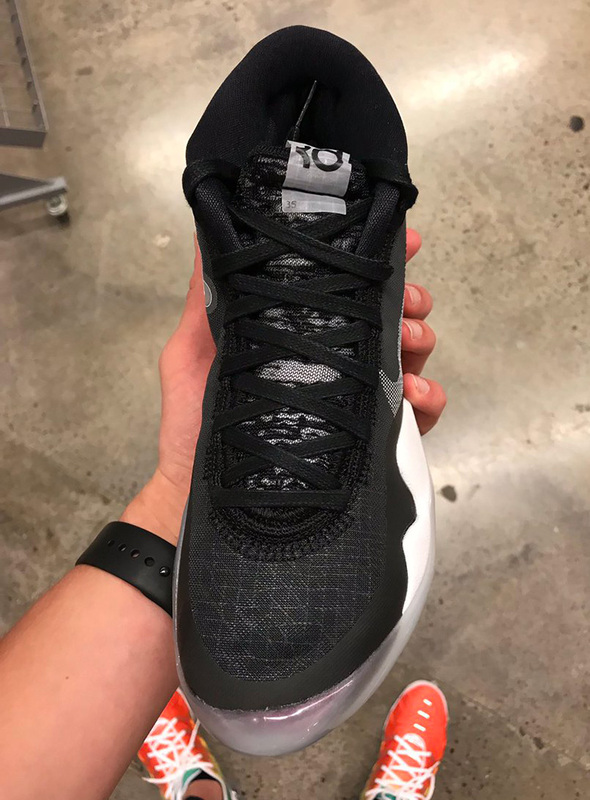 Early images of Durant's 12th Nike signature sneaker, the Nike KD12, surfaced on Tuesday revealing a sneaker that is much different than Durant's recent run of signature sneakers. Straying from the familiar flyknit/flyweave construction of the KD11, KD10, KD9 and KD8, the KD12 appears to feature an all-new, updated flyknit upper. 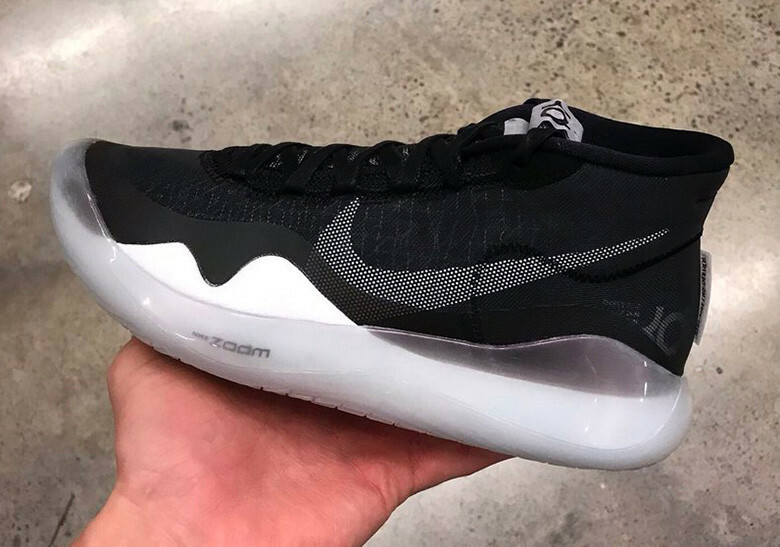 At first glance, the kicks also bear a resemblance to Nike's laceless Adapt BB. 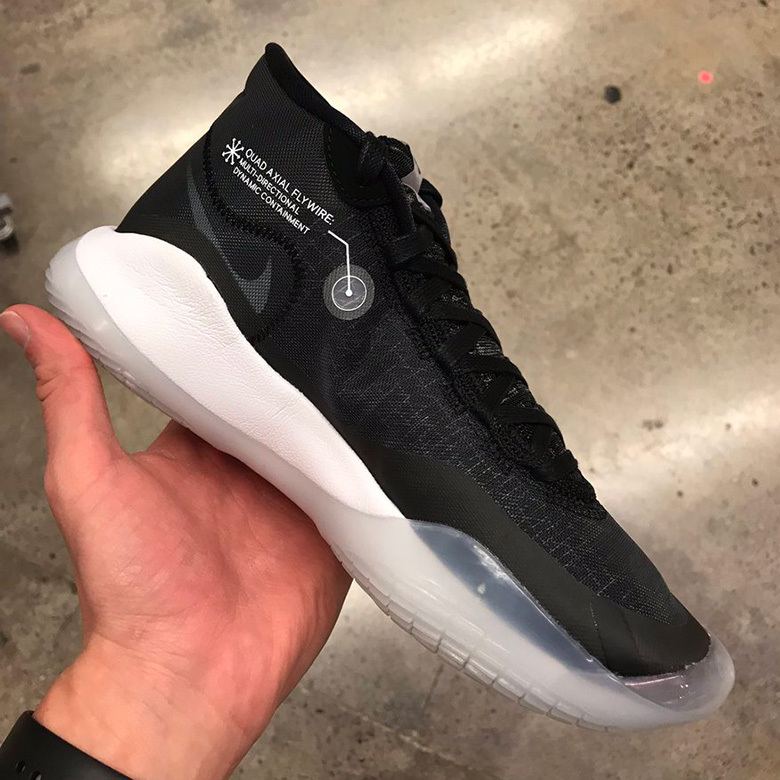 Release details and specs for the Nike KD 12 have not yet been announced but we expect to learn more sooner than later. Check out some additional images below, and look out for the kicks to make their way onto the court as Durant and the Warriors make a run for their third straight NBA title.